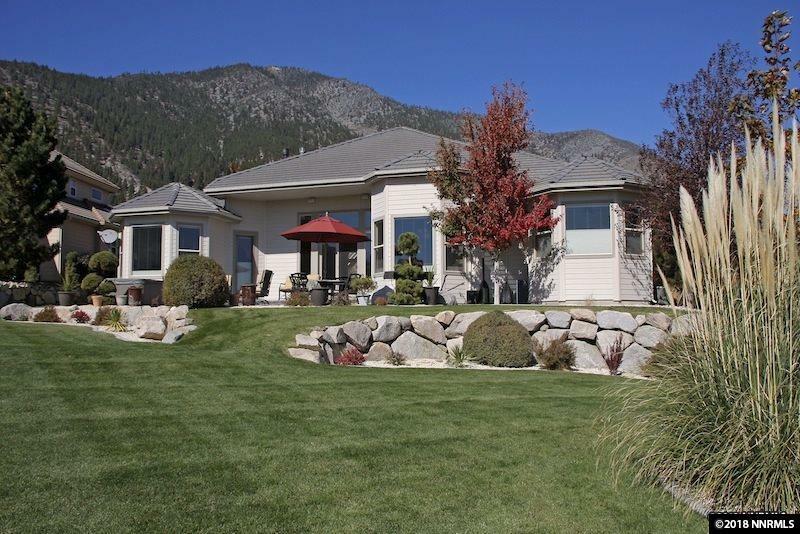 This custom built home at Genoa Lakes located on # 8 fairway has spectacular golf course views in a gated community. The home has all the main living downstairs with a great room, kitchen, formal dining area, 4 bedrooms, 3 1/2 baths, plus oversize two car garage and the bonus room is up stairs. There is a over size two car garage with extra storage. The paver patio has a built-in gas fire pit and plenty of room for patio furniture for the family BBQ's.